Christmas will be here before we know it, so , this would be a great time to start making those lovely gifts for you near and loved ones. This tutorial is for a Christmas Themed Mobile Pouch. Nothing is better than a Handmade Gift for Christmas!!!!! Everybody loves homemade Christmas gifts. Here I am sharing a very simple and easy pattern for Christmas Themed Mobile Pouch. 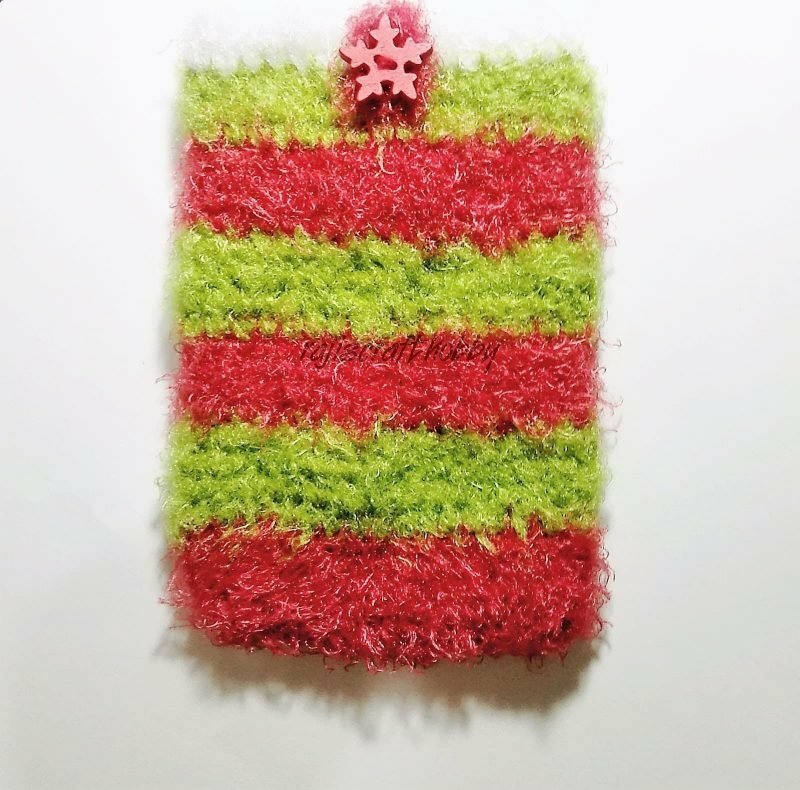 Use festive colors and turn them into Christmas Themed Mobile Pouch. You can gift it as it is to your loved ones or use it as a Gift Pouch, just fill it up with goodies and they are ready to go. Am sure your loved ones will love these festive gift!!!! !